Intel CTO Justin Rattner, speaking at Bloomberg's Next Big Thing Summit, said that the silicon slinger is working on a number of new "experimental devices" with one of them being a smartwatch. 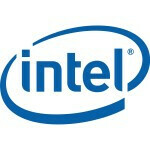 Rumors last year had Intel working with Apple on a smartwatch. It is unknown whether the device being tested by Intel now has anything to do with the so-called Apple iWatch. One analyst sees Apple eventually snagging 10% of the $60 billion watch business. Besides Apple, just about every major mobile device manufacturer has said that it is building a smartwatch including Google, Samsung, LG and Microsoft. Last year, a Kickstarter project for a smartwatch called the Pebble shattered all records at the crowd-funding site by raising over $10 million. According to Rattner, what Intel is testing appears to be a screen that is worn on the wrist that can handle many functions, one of which would be to give the time. He also said how nice it would be to be able to text from your wrist, hinting that this screen could handle sending and receiving text messages.